This short sleeve unisex polo comes in sizes 4-20 and features a three button placket with dyed to match buttons. This long sleeve dress shirt is a good, inexpensive, basic button front shirt. Made from a poly cotton blend. This short sleeve unisex polo comes in sizes small to 2XLarge and features a three button placket with dyed to match buttons. This long sleeve unisex polo comes in sizes 4-20 and features a three button placket with dyed to match buttons. Has 60/40 cotton poly blend, three button placket and Dyed to match buttons. Long sleeve button down Oxford shirt, available in 3 colors. 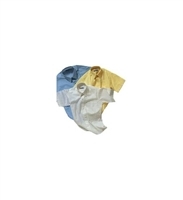 White, Light Blue and Yellow. 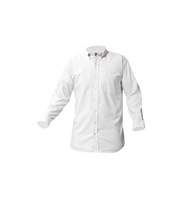 Long Sleeve White Oxford Shirt for Chicago Charter School Uniform. One of our most popular items, especially for school. This short sleeve dress shirt is a good, inexpensive, basic button front shirt. Made from a poly cotton blend it has a front chest pocket and is available in sizes from Youth 4 to Adult 3XL.